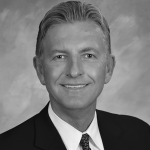 Mr. Loedel is responsible for the planning, organizing, and directing of national financial business operations for all MC Consultants, Inc. consulting groups. He is the President’s chief financial adviser and manages all financial operations for the company, including financial planning and analyses, as well as the handling of investments, financial reporting, funds management, accounting, and payroll. Mr. Loedel also supervises and coordinates the development of corporate operating budgets and leads the human resources and information technology functions. Mr. Loedel has over 20 years of experience in finance, having worked in a variety of industries spanning aerospace, high-tech manufacturing, and publicly traded biotechnology firms. Mr. Loedel’s multi-industry experience as a senior manager in complex operating environments provides MC Consultants with a strong management team member to help execute the company’s business strategy. Mr. Loedel received his undergraduate degree from the University of California, San Diego in Economics and received an MBA in Finance from the University of San Diego.